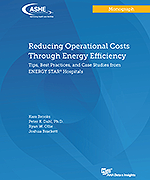 Sustainable engineering expert Peter Dahl has co-authored Reducing Operational Costs Through Energy Efficiency: Tips, Best Practices, and Case Studies from ENERGY STAR Hospitals, published by The American Society for Health Care Engineering (ASHE) of the American Hospital Association (AHA). Reducing Operational Costs Through Energy Efficiency identifies strategies for healthcare organizations to optimize energy resources while meeting sustainable goals. The industry monograph includes summaries, tips, tactics, and case studies to help facility managers develop efficient energy plans. Topics include procurement, bench-marking, supply and demand side audits, commissioning and retro-commissioning, measurement and verification, alternative energy methods, and energy funding. 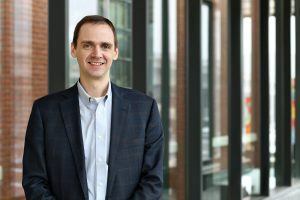 Dahl is Director of Sustainable Operations at HGA, where he has extensive experience evaluating and implementing sustainable solutions for corporate, public, healthcare, and higher education projects nationally. His expertise includes energy assessments, energy modeling, feasibility studies, sustainable master planning, climate action plans, retro-commissioning, and LEED and ENERGY STAR building rating systems. He has presented energy topics at regional and national conferences, including U.S. Green Building Council, ASHRAE Minnesota Energy Expo, Greening the Heartland USGBC Midwest Regional Conference, and International District Energy Association (IDEA) Conference. For more information, download Reducing Operational Costs Through Energy Efficiency.